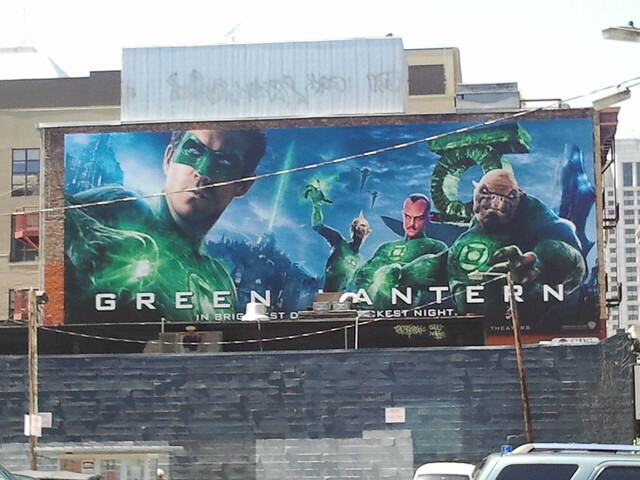 The Green Lantern marketing machine is firing on all cylinders in the city of San Francisco. Billboards can be seen on many Muni and AC Transit buses and in the BART station. Yesterday as I was walking on Howard street, I noticed this giant mural painted on the side of a building and took this shot with my phone. The entire GL corps staring down at the citizens of SF! Very colorful. I believe this was near the intersection of Howard and 1st street. I was walking towards the Comic Art Museum of San Francisco, at 655 Mission street. They are having a special Green Lantern original comic art exhibit in conjunction with the movie and you can view artwork by Gil Kane, Joe Staton, Mike Grell, and many others. I really enjoyed viewing the original art to Green Lantern #61 by Gil Kane. This is one of the early silver age titles that drew me to the character, along with the mention of his name in Donavan’s song Sunshine Superman. There is one wall devoted to all the original art for this particular issue. The card to the right said the art was displayed with the permission of Mike Friedrich (a long time Bay Area resident), the writer on this issue. 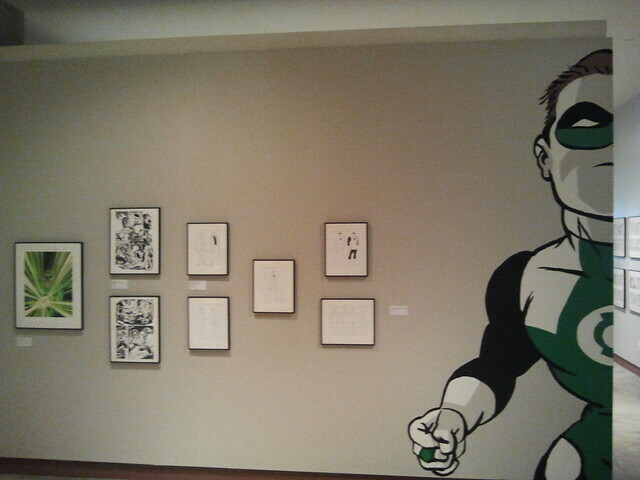 The museum decorated one wall of the exhibit with a blown up recreation of Darwyn Cooke’s rendition of Green Lantern, taken from New Frontiers. It’s a small but cool exhibit, which costs $7 for admission. 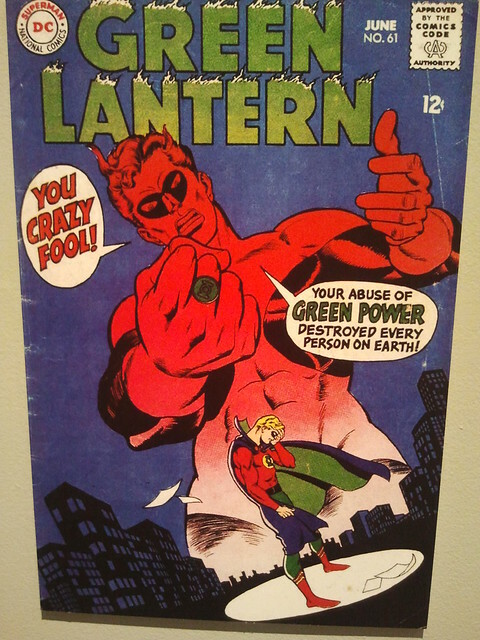 There is only 1 Neal Adams piece, but it is a doozy—the cover to Green Lantern #85, the Speedy heroin drug issue. What surprised me more than anything are 2 Mike Grell pages from the upcoming DC Retroactive special—stunning pages that show Grell has lost none of excellent technique. Nuff Said!